As 2018 is now upon us, we’re most likely filled to the brim from eating all the holiday goodies through Christmas and New Year’s. But hey, food is life and we can always make room for a little more! 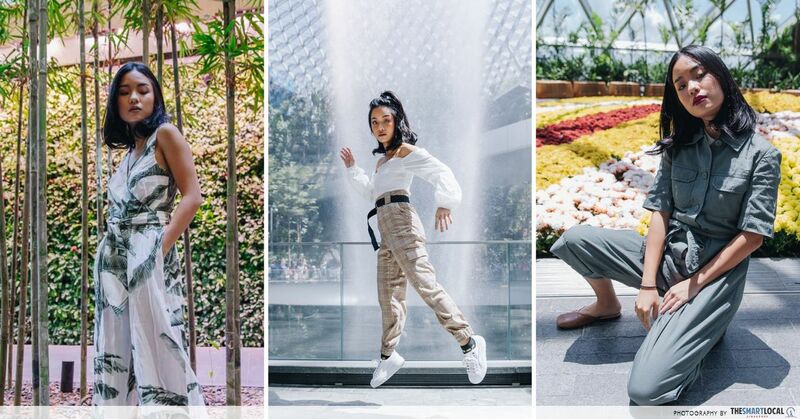 2018 already looks set to be a year of good eats, with several big international names setting up shop here. 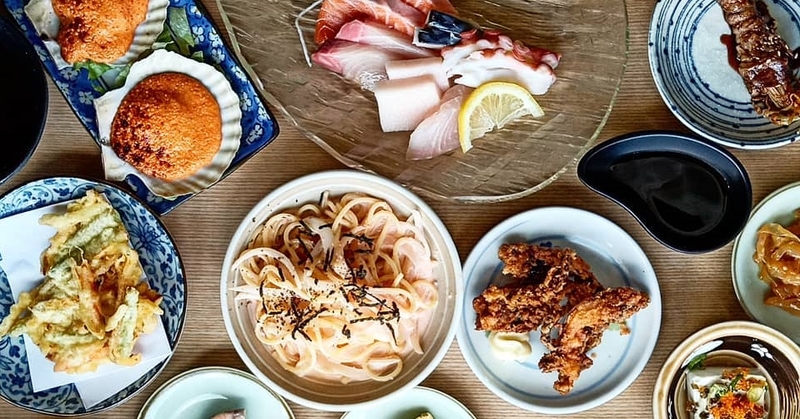 From a Hawaiian pancake and omelette joint to a Japanese street food restaurant, these fresh food spots will get your New Year appetite going. 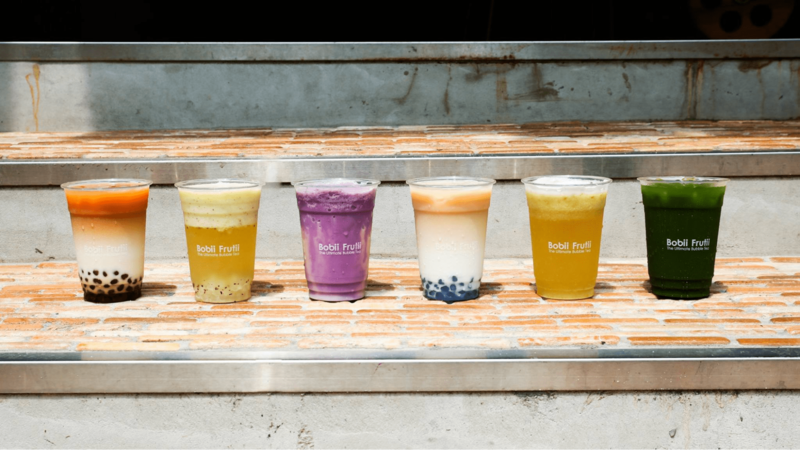 While bubble tea lovers now have choices aplenty with LiHo and the return of Gong Cha, there’s also Bobii Frutii, a new kid on the block hailing from Taiwan. 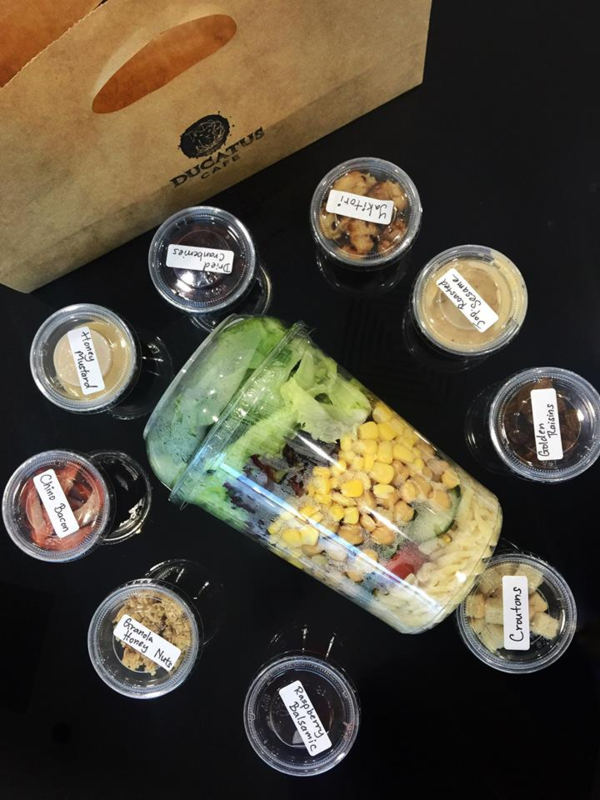 The drinks are made with no artificial flavours, creamers or preservatives, so you can indulge without guilt. 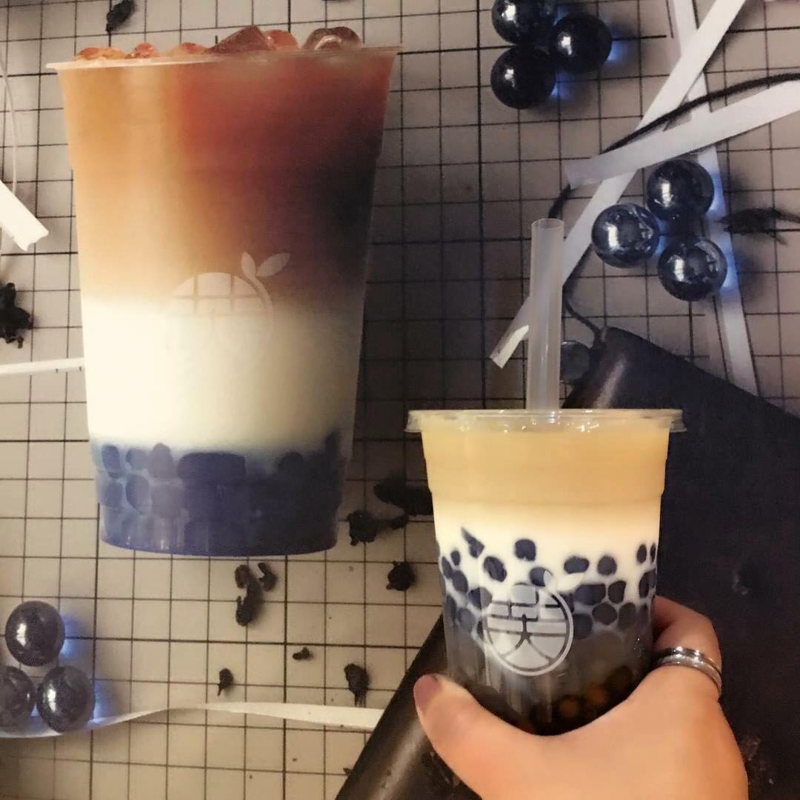 If you’re not sure what to get, pick up their signature Mermaid’s Tears ($5.90), infused with a tangy mango and lemon flavour and topped with blue tapioca pearls. 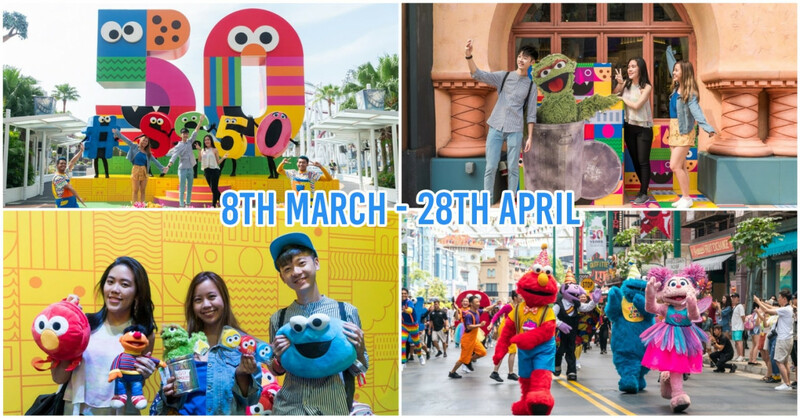 Fun fact: this franchise was brought in by actor Nat Ho. Eggs ‘n Things has finally opened its first outlet outside of Hawaii and Japan since its inception in 1974. Serving up fluffy pancakes with a mountain of whipped cream, they also offer 3 categories of eggy mains: Meat & Eggs, Omelettes and Eggs Benedict. 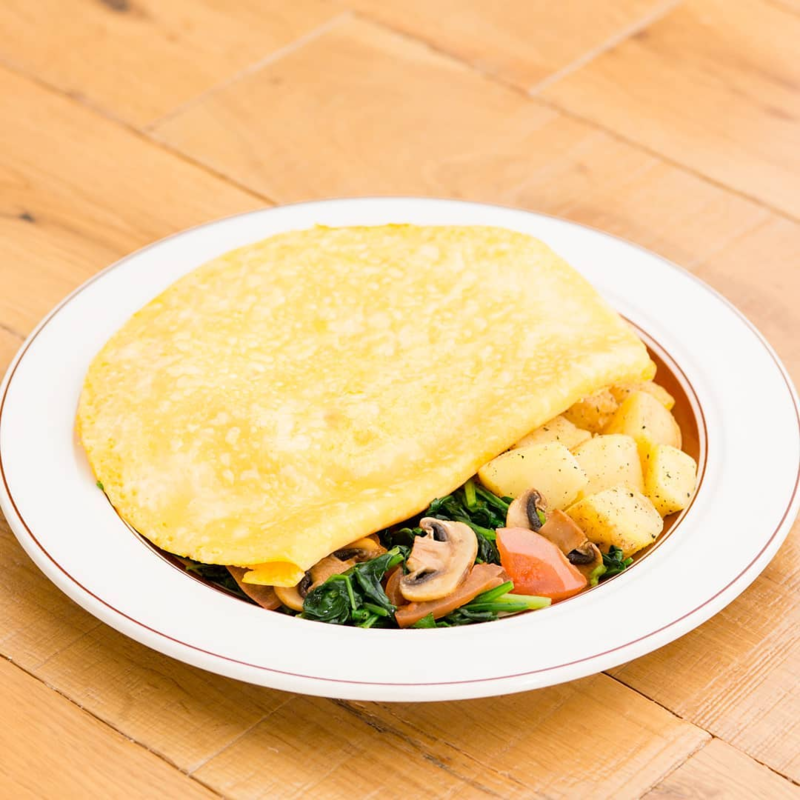 The Omelette with Spinach, Bacon and Cheese ($19.90) is a rewarding choice. 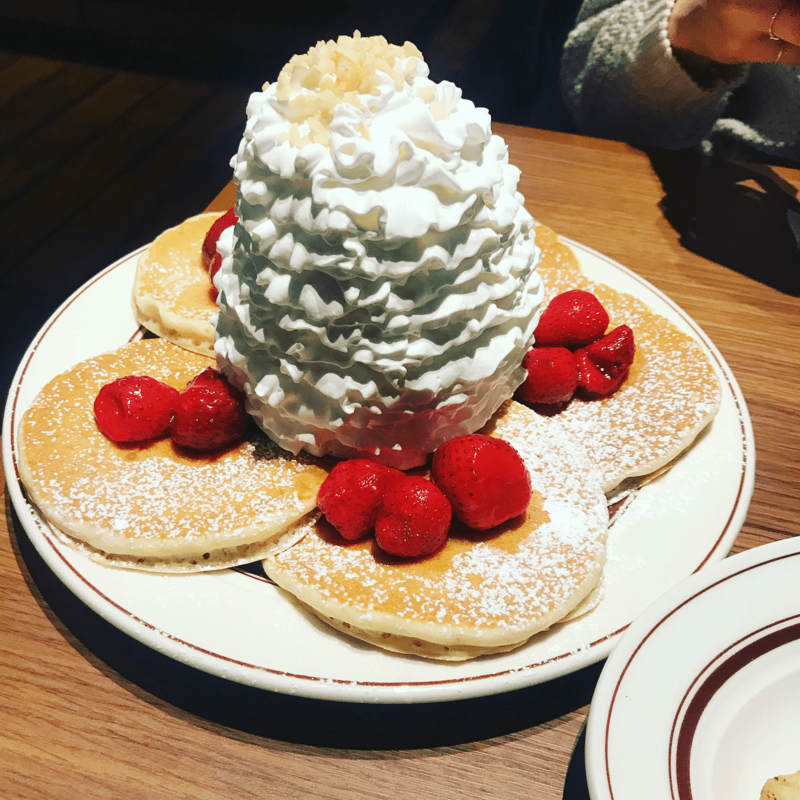 However, a trip to Eggs n’ Things isn’t complete until you’ve had a dessert - try the Pancakes with Fresh Strawberries, Whipped Cream and Macadamia Nuts ($19.90). Flood the coconut sauce all over it and await the impending food coma. I remember spending much of my secondary school days visiting Swee Lee for its vast variety of musical instruments, especially guitars. 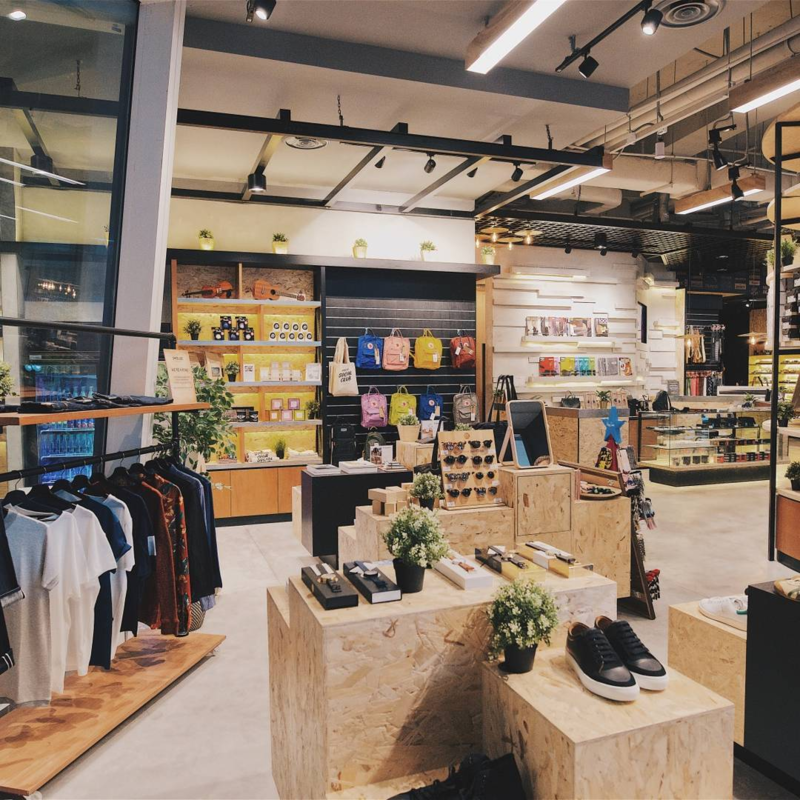 Now, they’ve incorporated a cafe into their flagship store at Star Vista for like-minded musicians to come together and talk about music or browse through music-related apparel on the side. 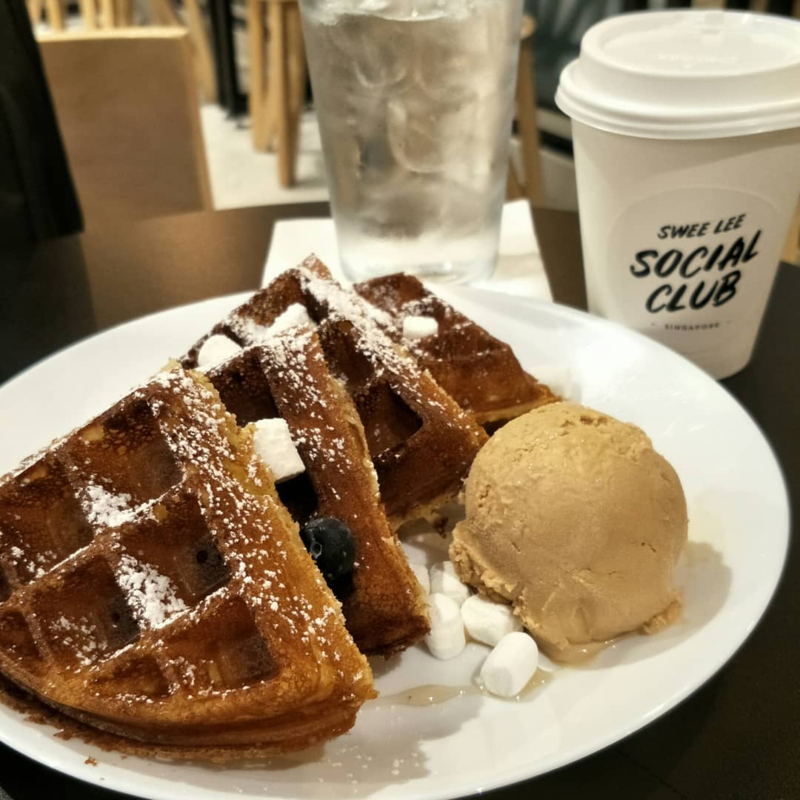 Tip: Approach the baristas for the secret menu where you’ll find the Waffle & Co. ($10) which comes with a scoop of ice-cream, and pair it with a cup of White Cold Brew Coffee ($7) as you discuss guitar gear with bandmates. 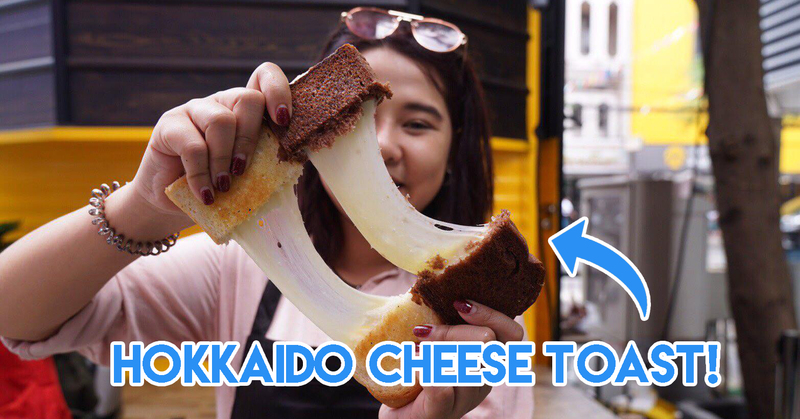 Yet another franchise brought in by actor Nat Ho, Say Chiizu specialises in super stretchy Toast ($3.80) made with cheese from Hokkaido in 4 different flavours of Original, Charcoal, Chocolate, and Strawberry. 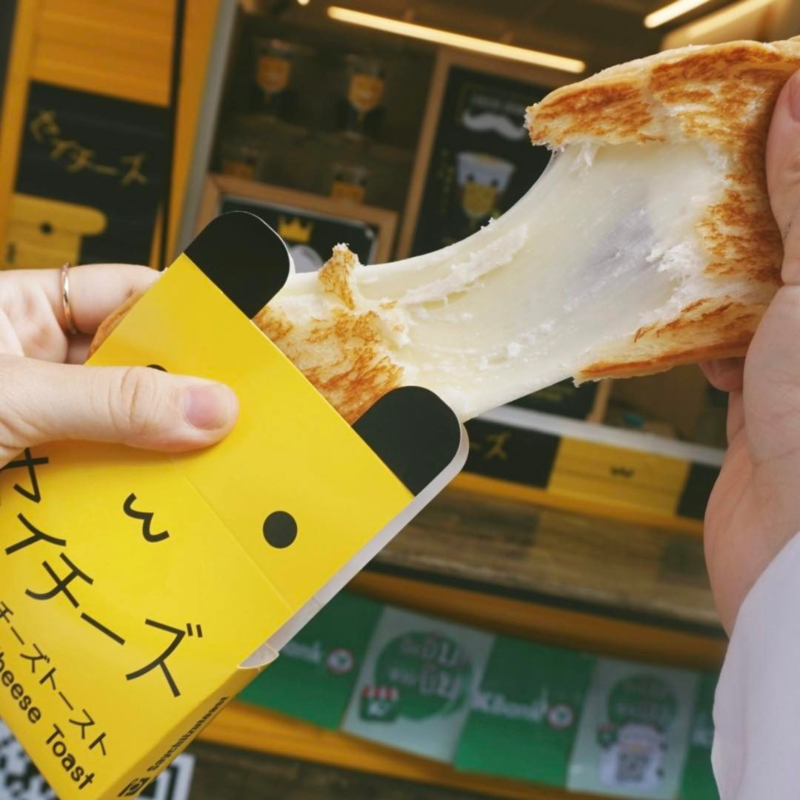 When you’re done with the chewy bite-sized toast packages and still can’t get enough of that cheesy goodness, down a cup of Cheese Tea in flavours like Yuzu, Matcha, Strawberry and Peach - all with cheese foam on top. 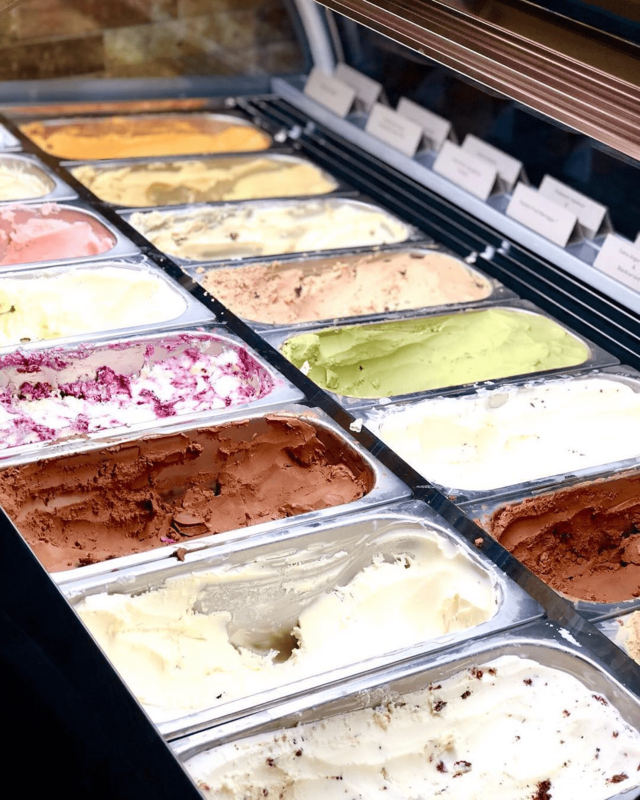 Cottontail Creamery is more than just the average heartland ice-cream parlour, as it has several innovative flavours not found anywhere else - such as Craft Beer IPA, Mont Blanc Chestnut and Extra Virgin Olive Oil. 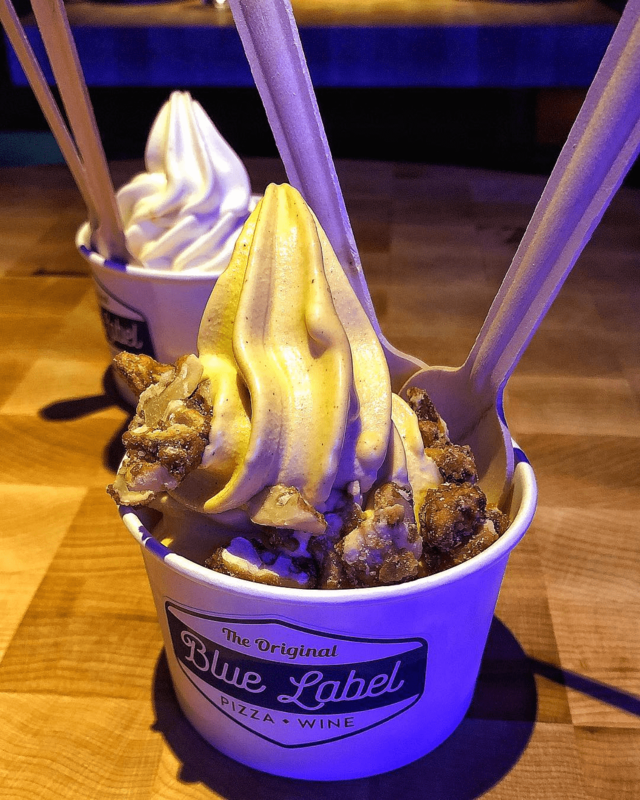 Single and double scoops go for $3.50 and $7 respectively, with additional $1 for premium flavours. As a popular option, the Craft Beer IPA paired with a Homemade Crepe ($3.80) will keep you refreshed without overwhelming your taste buds. But if you’re looking for more filling options, they’ll be launching a brunch menu in the near future so keep your eyes peeled for that. 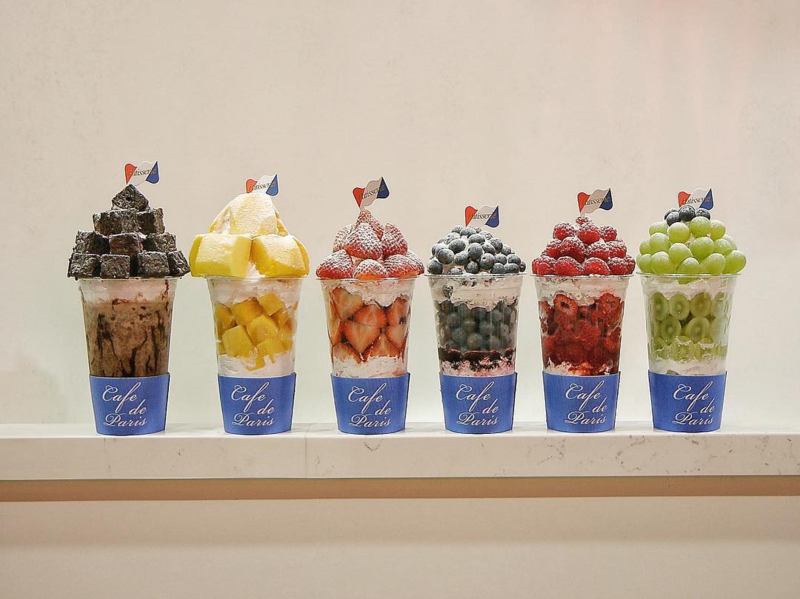 Despite its name, Cafe de Paris is a Korean dessert shop serving Bonbons - sweet dessert drinks topped with fruits that make bingsu look ordinary in comparison. 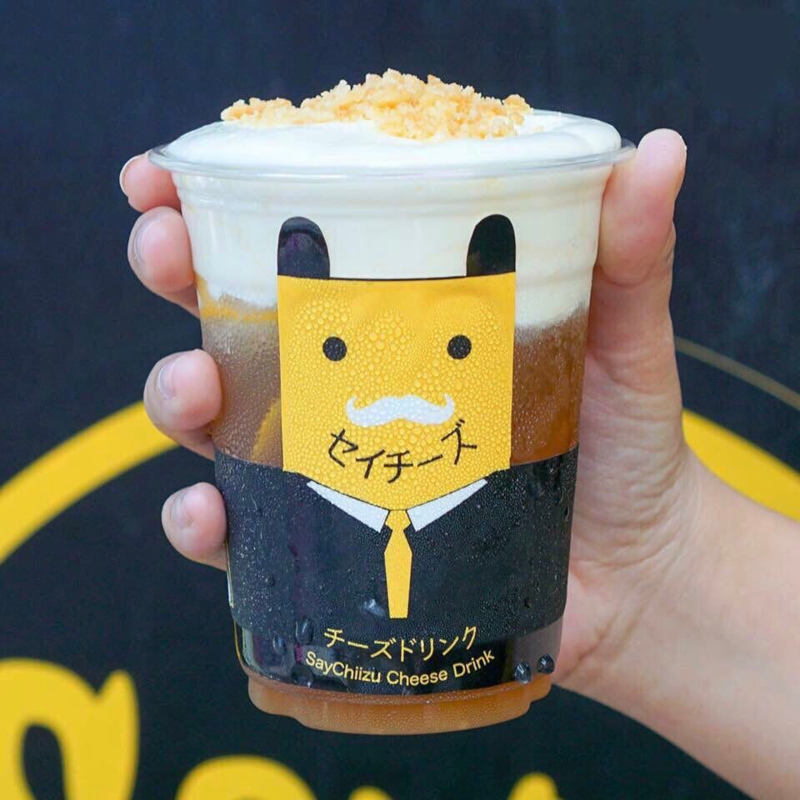 The Mango Bonbon ($17.80) is a go-to choice, with sliced mangoes arranged such that they’re protruding far beyond the boundaries of the cup. 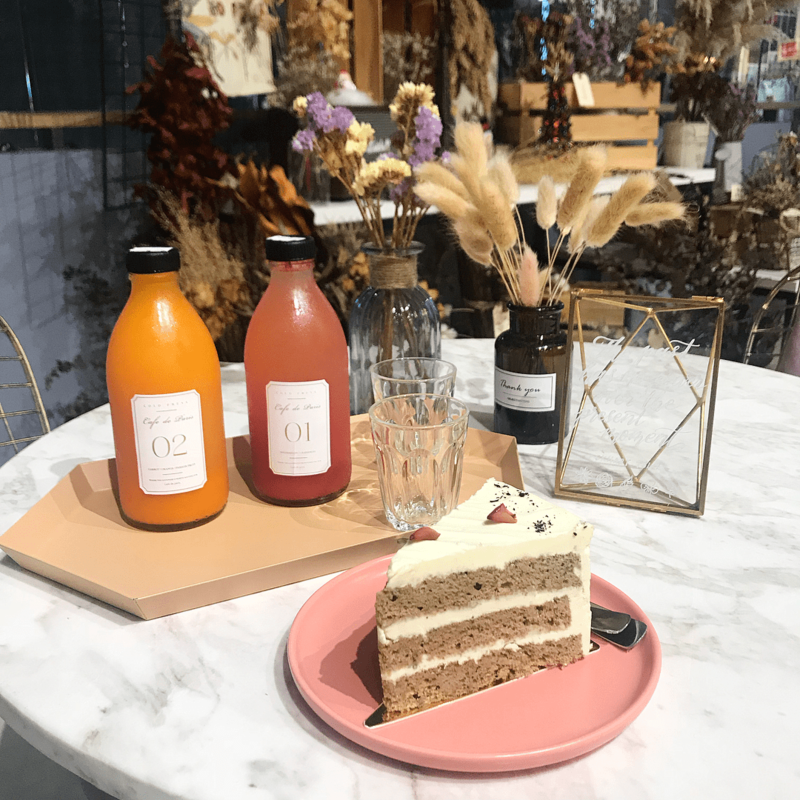 If the Bonbons’ large portions are too much for you, sit down with a Rose ($8.50) or Yuzu Mango Cake ($8) and a bottle of Cold Press Juice ($8.50) as you take in the elegance of the Parisian-styled cafe interior. 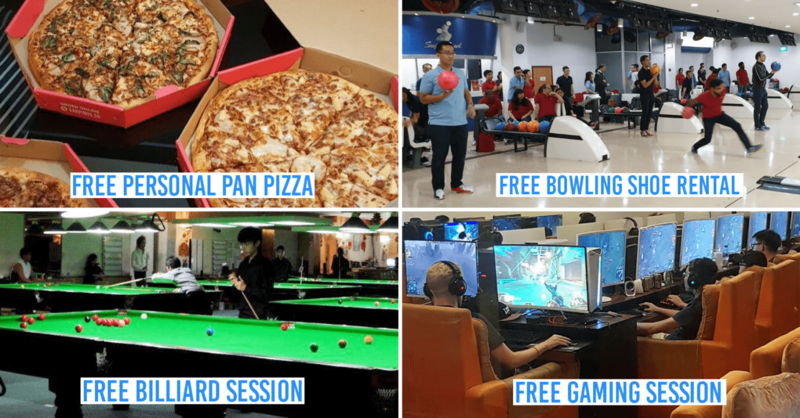 Cryptocurrency is all the rage these days, so as Singapore’s first entirely cashless cafe, Ducatus Cafe lets you cash in your Bitcoin if you’ve managed to jump aboard it in its early stage. 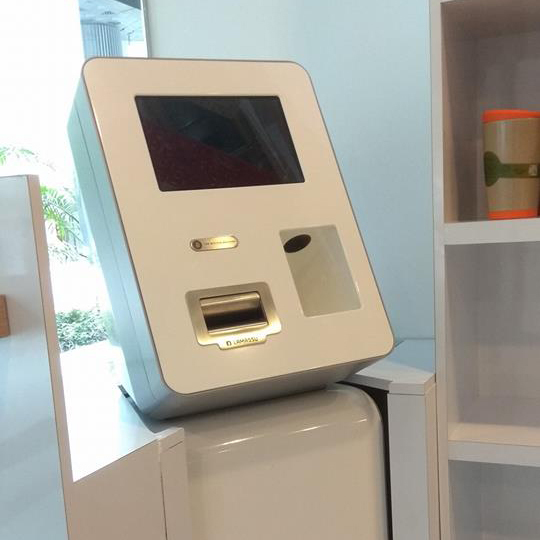 If you haven’t, it has an in-house ATM for paying with NETS, credit cards and Ducatus - the cafe’s own cryptocurrency. 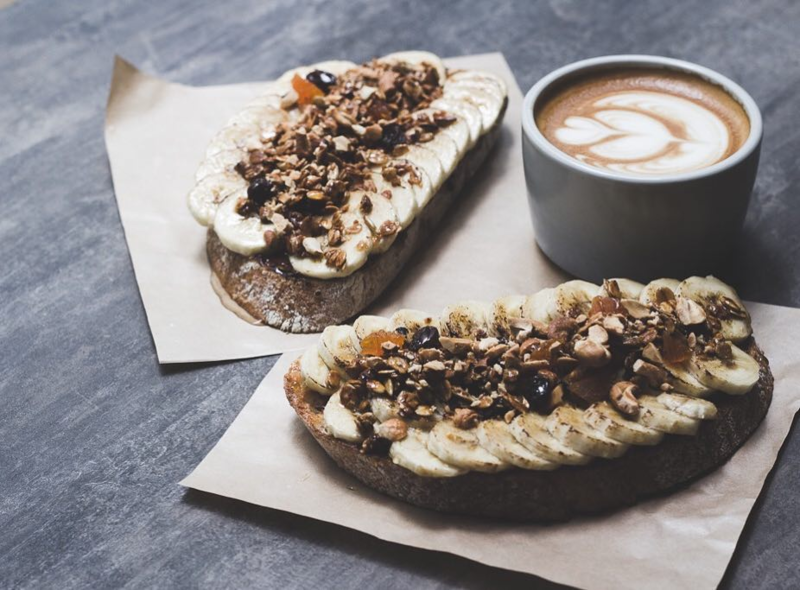 Being in the CBD, it’s a useful feature for busy office workers who don’t have to worry about not having cash on hand as they grab a morning pick-me-up like Kopi O ($1.30) or a Chino Bacon & Egg Wrap ($5.50). 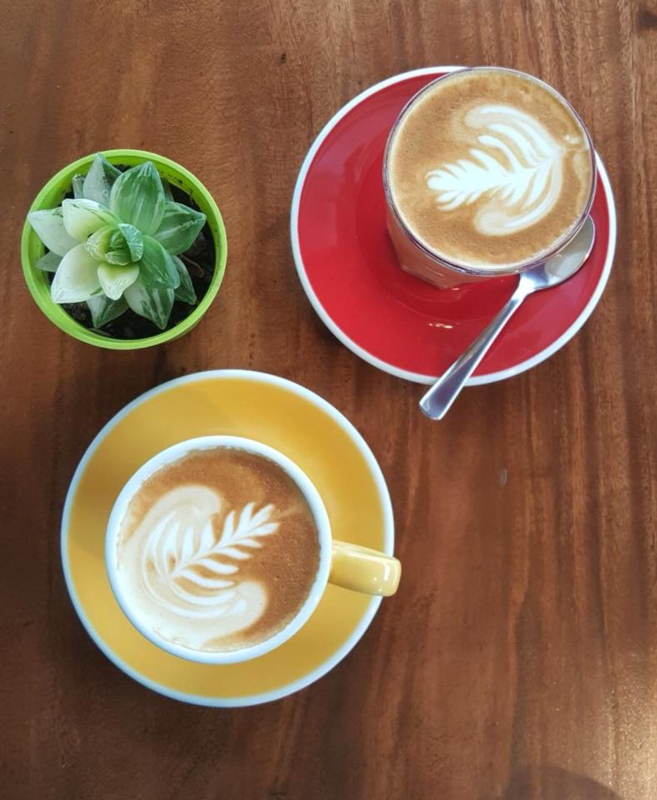 It also sells its own coffee beans and tea leaves for those looking to brew their own drinks, all of which are sourced sustainably. 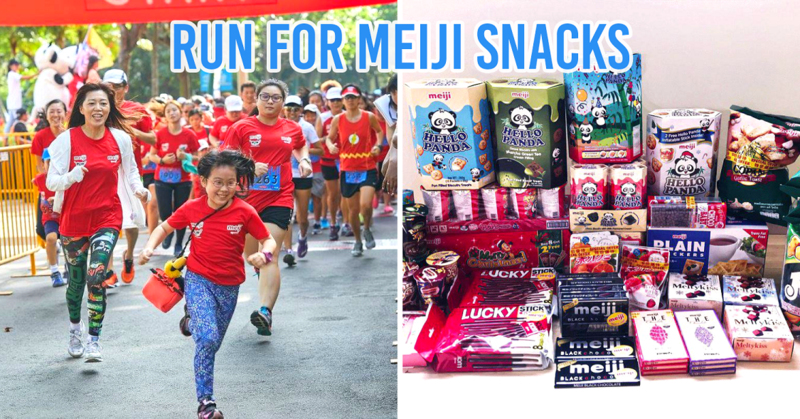 Most interesting however, is that Ducatus even sells shampoo and bodycare merch alongside, meaning you can look and feel good on top of eating well. 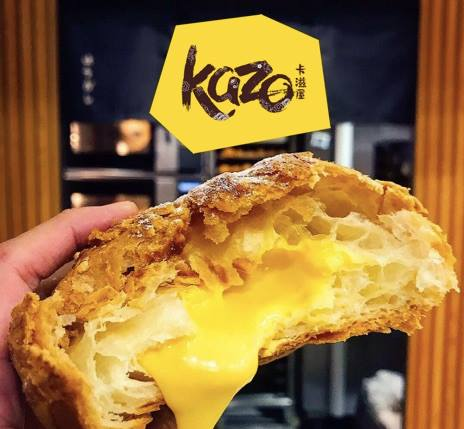 Kazo’s pastries are made for sinful indulgence, with its Golden Lava Danish Polo packed full of salted egg lava oozing from the crispy buns. 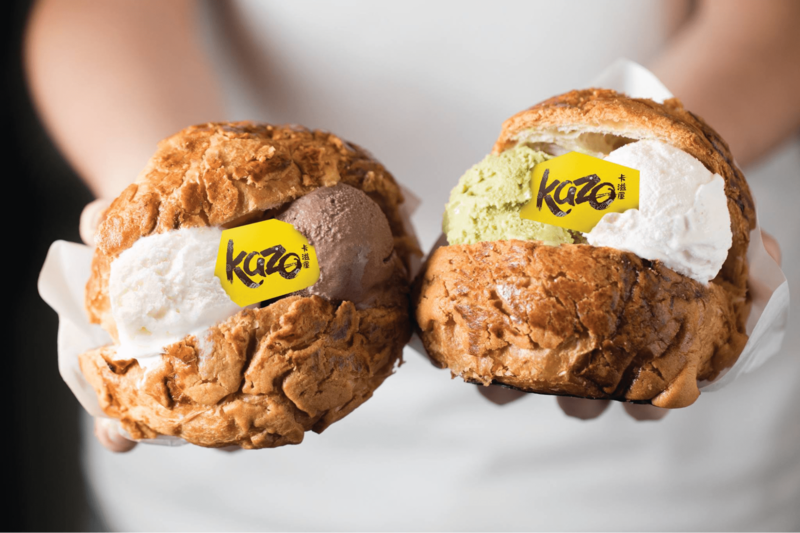 Aside from that, the bakery from Taiwan also offers Danish Polos, served with 2 scoops of Hokkaido Milk, Royal Chocolate or Matcha ice cream ($2.50-5.50). And if you haven’t found yo’ man, don’t worry - you can pick up a Kazo Man, an organic soy-matcha latte in a bottle shaped like a torso with a muscular 6-pack. Yum. 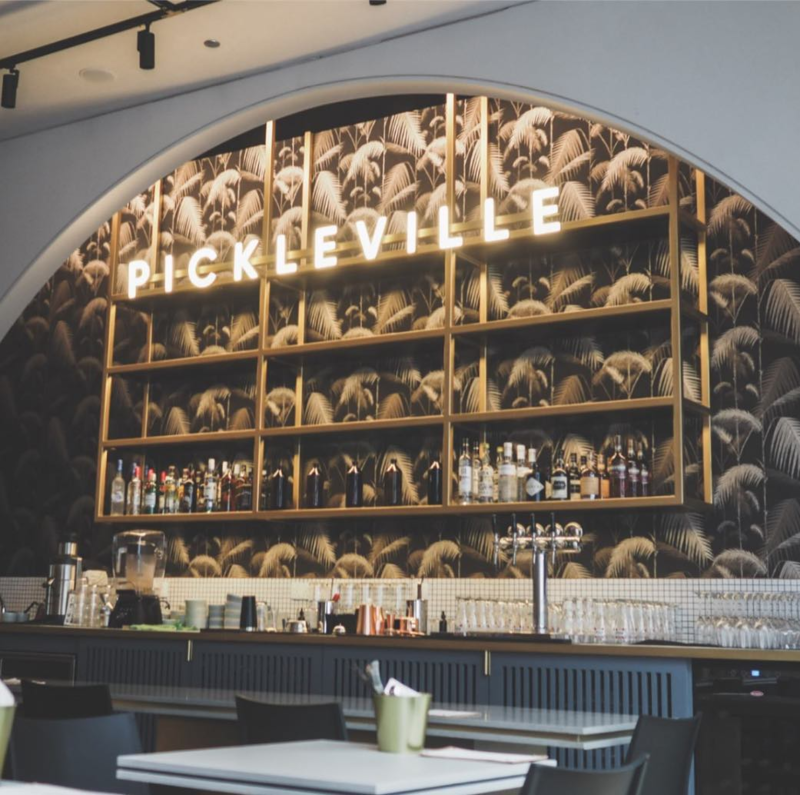 With a name like Pickleville, it’s easy to know what you’re getting here. 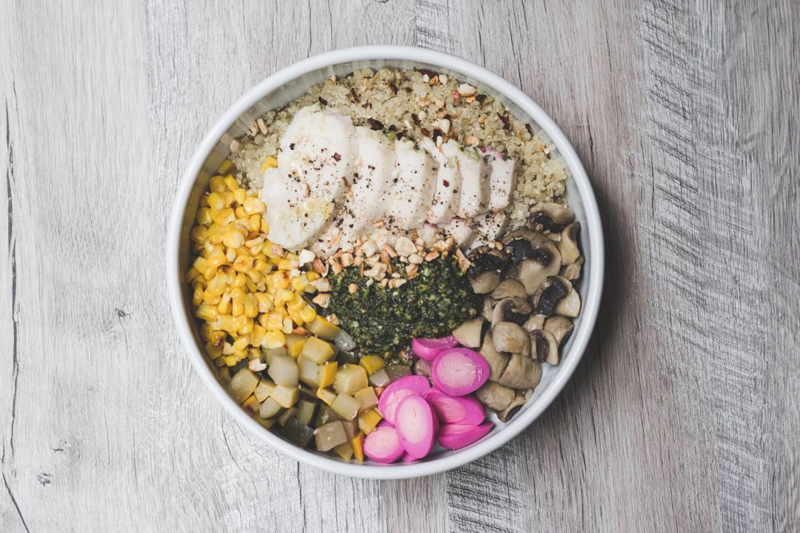 If you’re a fan of sourish and tangy flavours, look forward to pickled radish, cucumber, sauerkraut and pineapple salsa included in grain bowls in variants from Vegan ($12) to Roast Beef ($16). 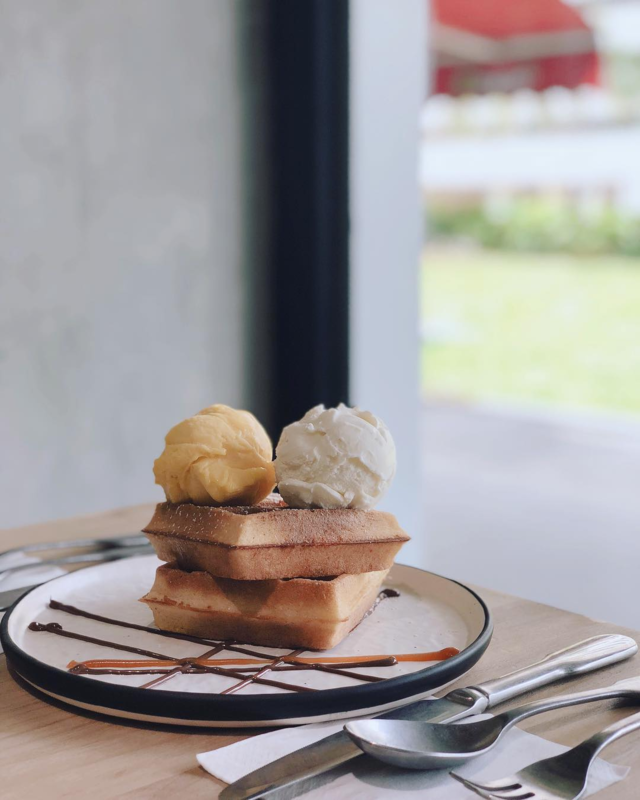 If you’re not a fan of sour stuff, they also serve up large portions of Banana Nutella Toast ($8) and Melted Mozzarella Ham with Fermented Honey Garlic Butter ($11) that’ll fill your stomach just as well. 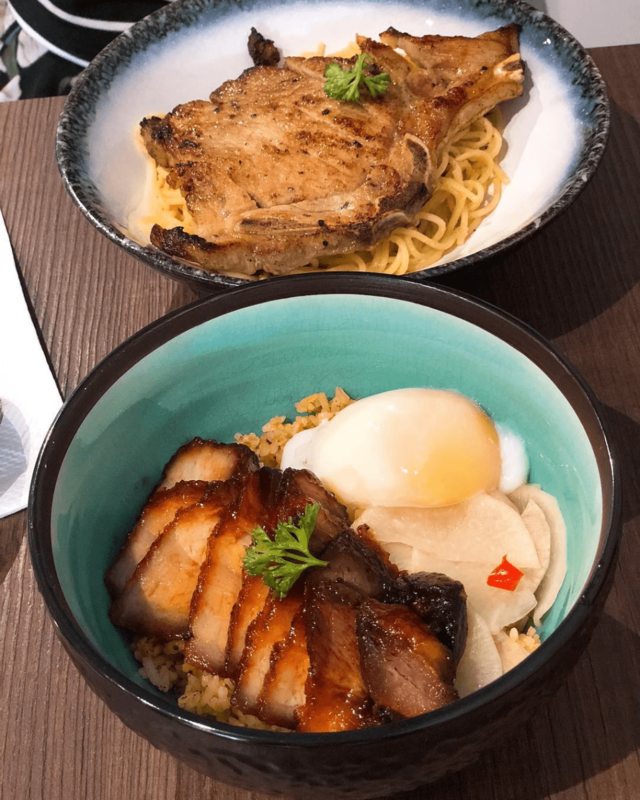 Westsiders no longer need to grab their passports to head out to the rest of civillisation for good cafe nosh, as Bok’s Kitchen in Boon Lay serves up hearty cafe fare with local twists - such as Pork Loin Aglio Olio ($11) and Char Siew Rice Bowls ($9). For more conventional options, you too can tuck into a homely bowl of Curry Chicken with Rice/Bread ($6), knowing that “everything’s gonna B. OK”. 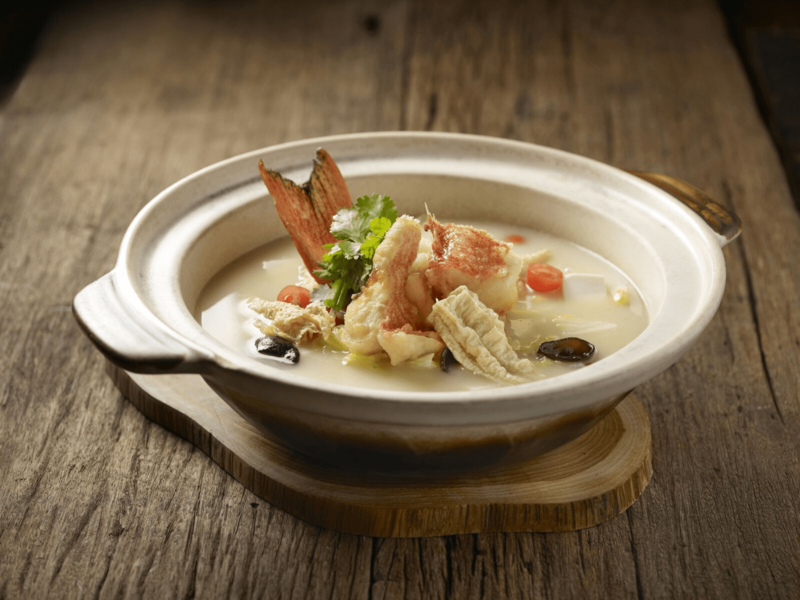 Dusk is Mount Faber’s swanky new European restaurant with Asian influences, where diners get to chill out in a classy hilltop alfresco setting. 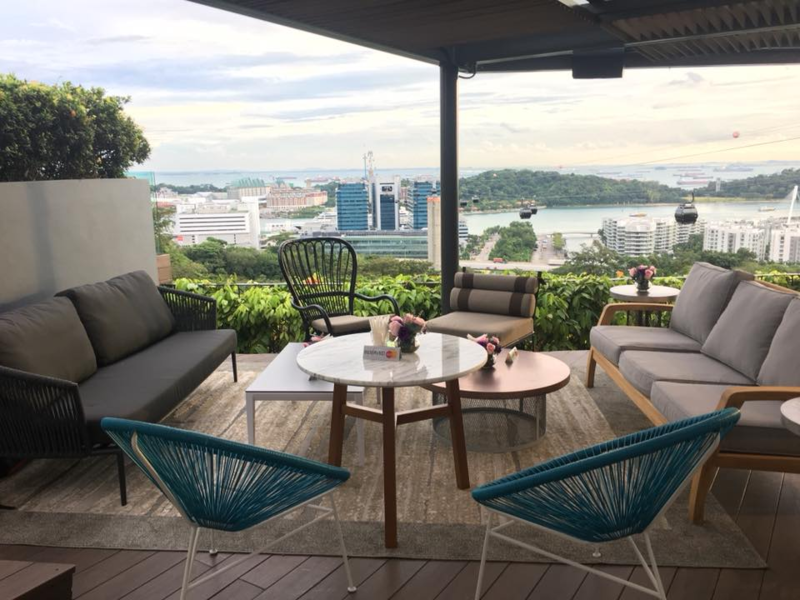 You’ll be able to enjoy the panoramic views of the waters around Harbourfront and Sentosa from the 100m-above-sea-level vantage point especially during sunset, as you sip on a Nitro-Frost Caviar Martini ($16) like a real sir (or ma’am). 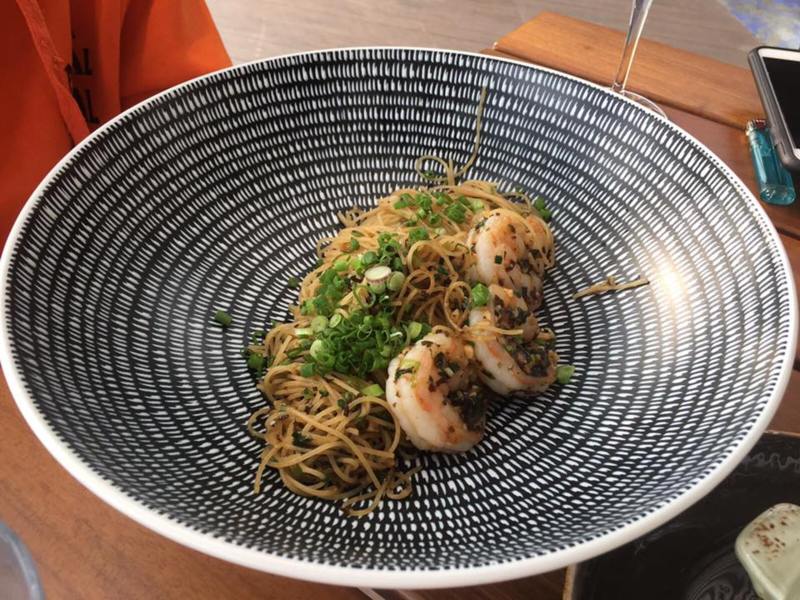 For a light, refreshing meal, treat yourself to the Tiger Prawn Capellini ($28) tossed in lobster infused oil and Japanese seaweed, just as dusk falls over Mt Faber. 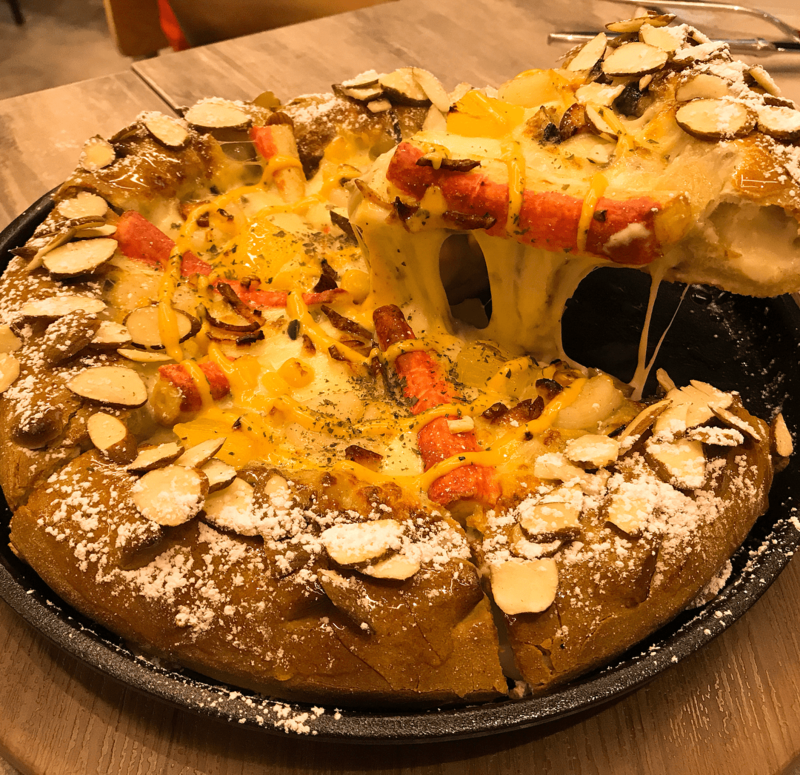 The world’s largest Korean pizza chain famous for black rice and green tea doughs has finally reached our shores! Pizza Maru’s The Real BBQ Chicago ($26.80) deep dish pizza is a must-try, where chicken leg bits are blended with honey and barbecue sauce for the ultimate mouthgasm. 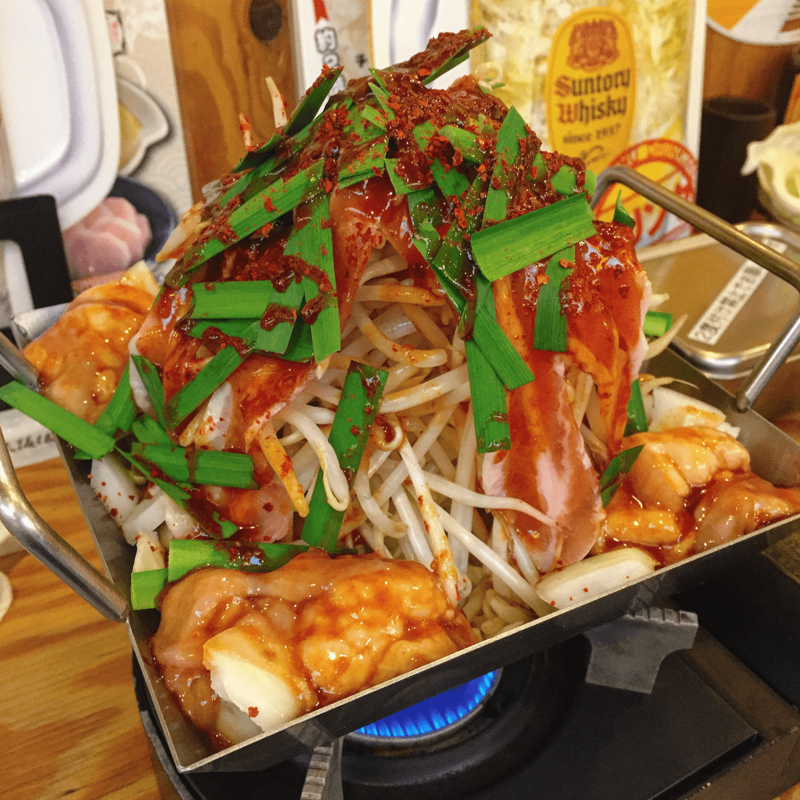 Spicy Korean fried chicken is all the rage these days, and the Supa Hot Dak Gangjeong ($16.80 for 6, $29.80 for 12) will light your taste buds on fire. 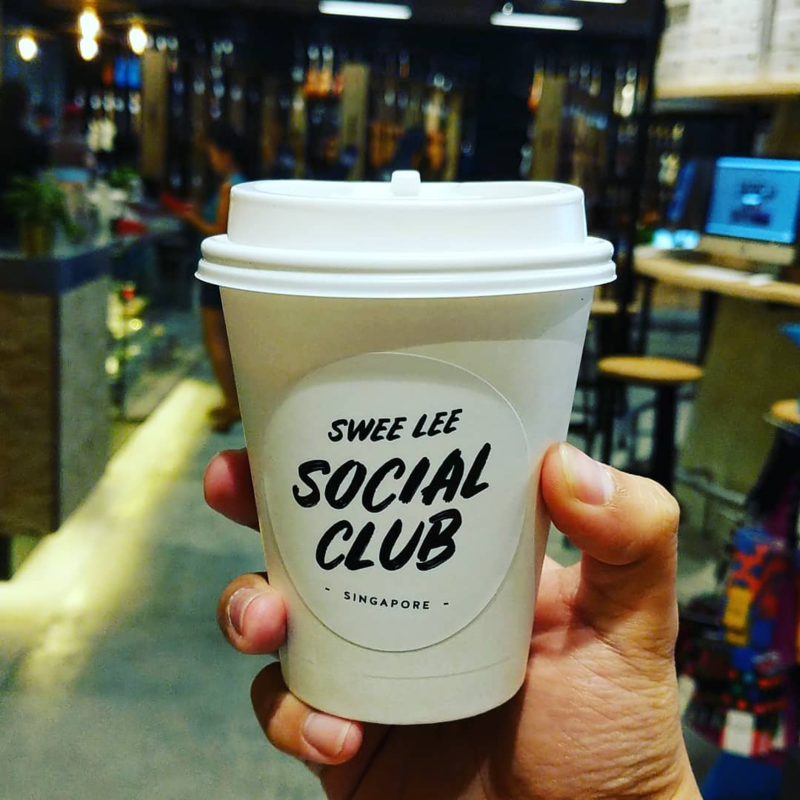 To cool your tongue down, gulp down some Iced Sweet Potato Latte ($6.90) which comes with 3 mini rice cakes filled with sweet potato paste. 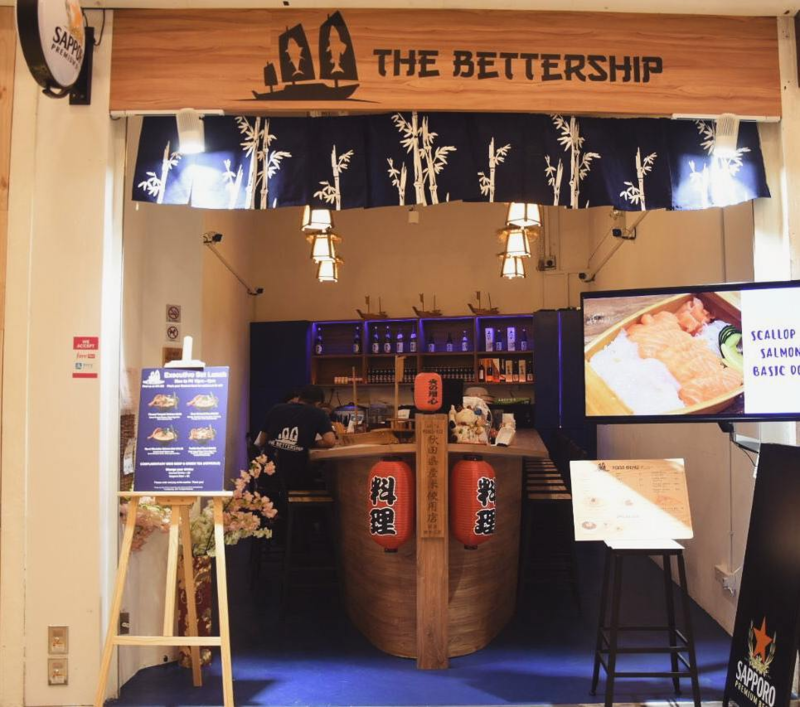 Donburi bowl lovers, set sail at The Bettership where the bowls and dining area itself are ship-shaped. 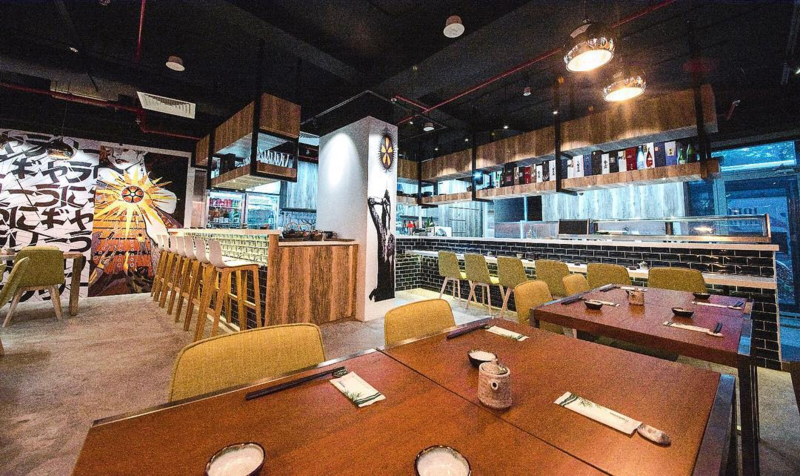 And with the way the seats are arranged, you’ll get to watch the chefs as they prepare your rice bowl. Prices range from $11.90 for a basic Salmon Don to $40 for Aburi Wagyu Beef. 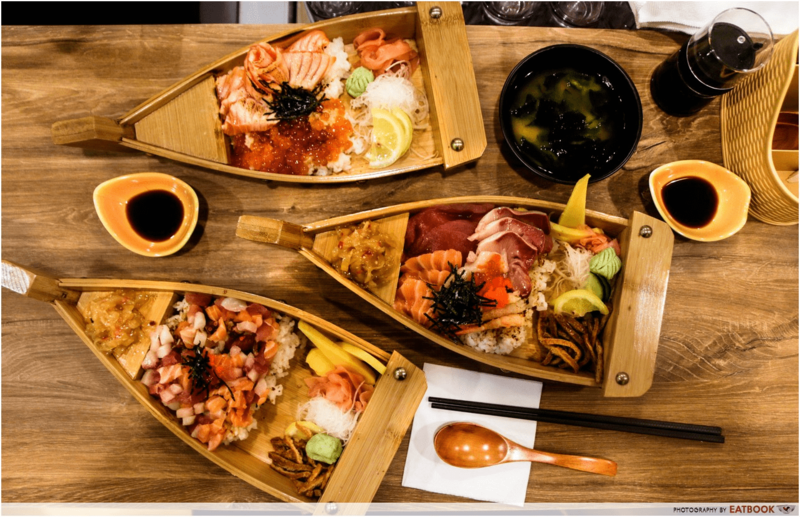 As an incentive to drop by for lunch, they offer a Chirashi Don Set from 12PM - 6PM where it goes for $15.90 instead of the usual $17.90 and comes with a Miso Soup and Green Tea. 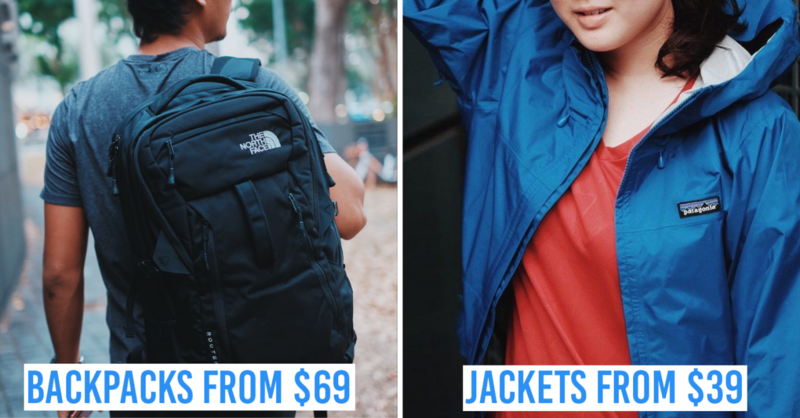 Students get $1 off upon flashing their student cards too, great for those studying within the Dhoby Ghaut area. 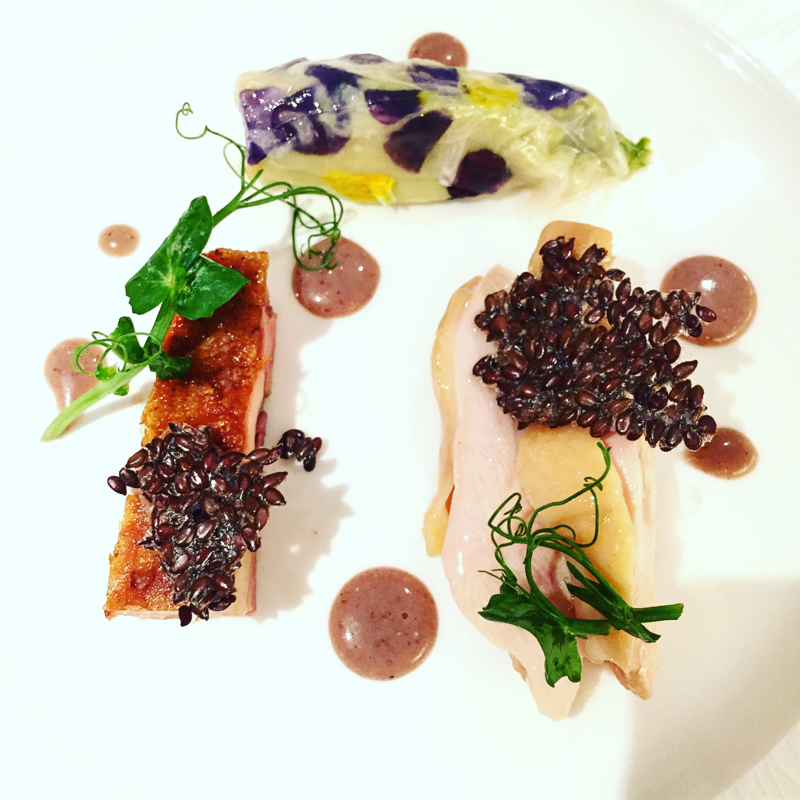 Restaurant Lerouy is by Christophe Lerouy, a French chef with a Michelin star under his belt. 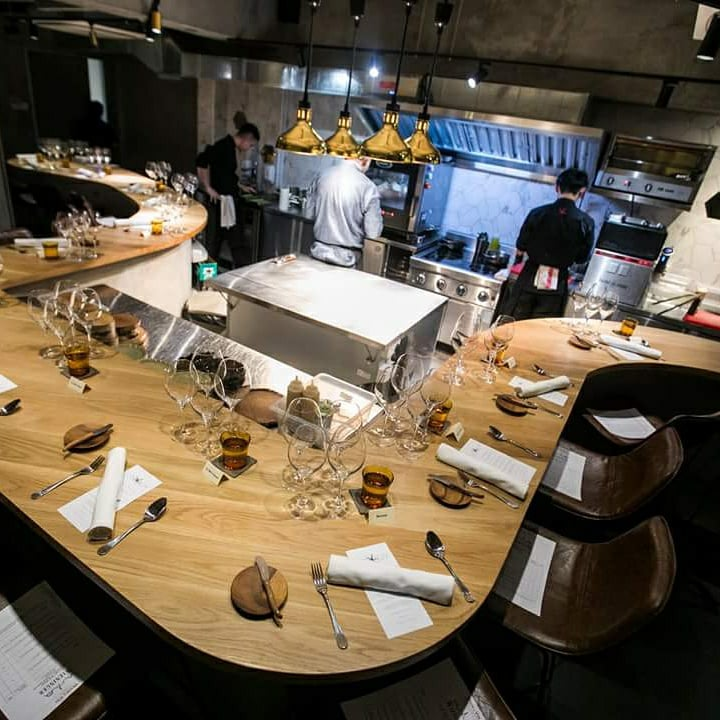 The intimate layout of the restaurant is made for only counter seats arranged in a wave, ideal for appreciating Lerouy’s culinary craftsmanship up close. 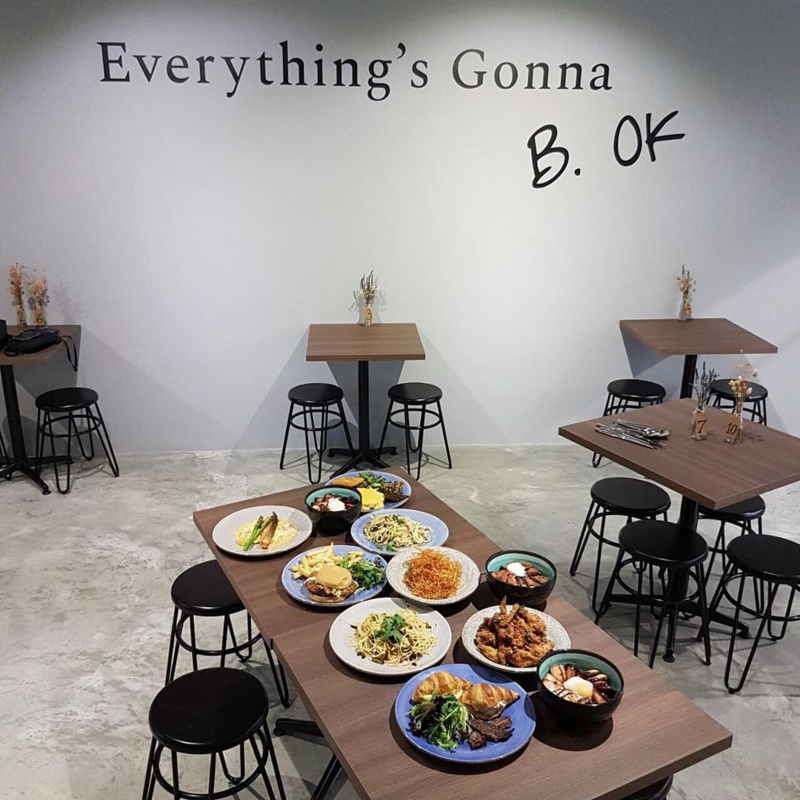 There is no a la carte menu as dishes prepared are seasonal, but you can pick between Petit ($38 for 3-course lunch, $98 for 5-course dinner) and Grand ($55 for 5-course lunch, $128 for 7-course dinner) sets. 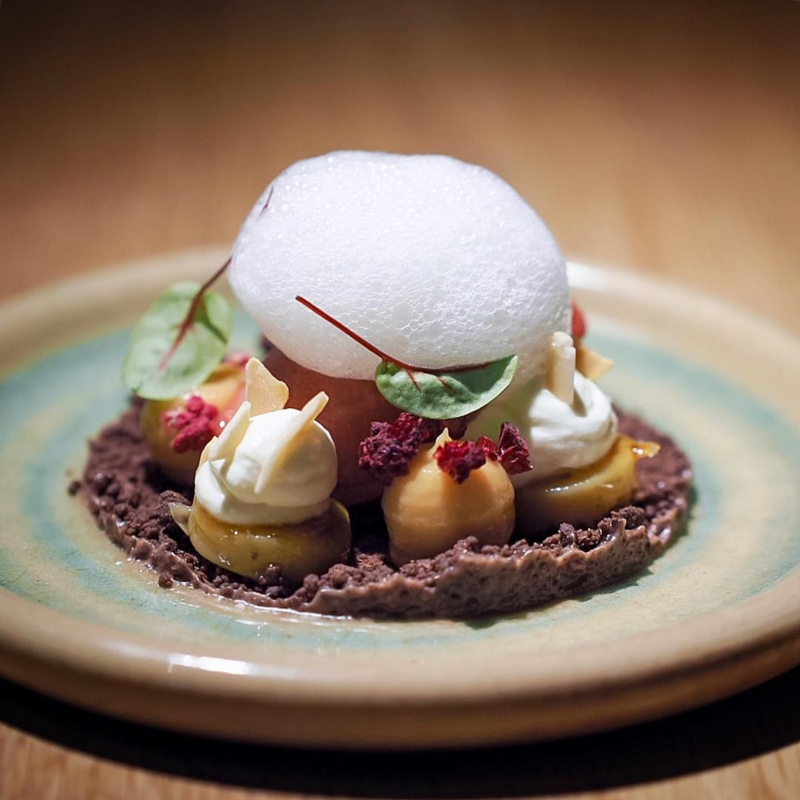 Nevertheless, mains like his Foie Gras and Snow Crab with Dill Oil, Apple Vinaigrette and Apple Foam and creative deconstruction of Banana Split dessert have been well-received by those who’ve had the opportunity to savour them. 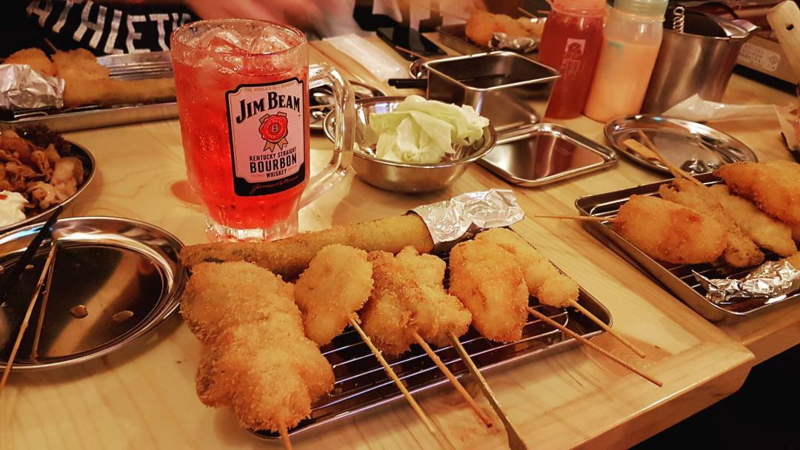 Kushikatsu Tanaka brings authentic Osaka street food to Singapore, where “kushi” means skewer and “katsu” means meat cutlet. There are plenty of skewer types - from beef to oyster and prawn, as well as vegetarian options like asparagus and lotus root - for $1 to $2.50 per stick. 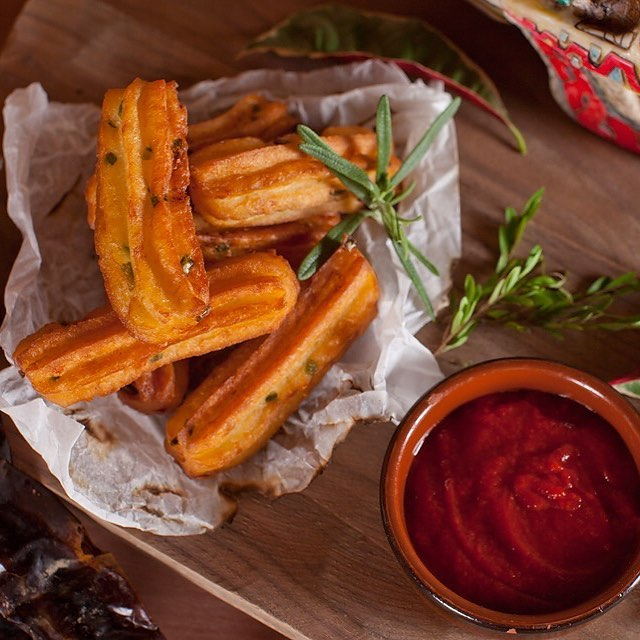 Pair them with the Signature Dipping Sauce ($3) and you’ll be greeted with a sweet-savoury blast of flavour. There’s also the Chiritori Hotpan ($16 and $18 for pork and beef) with beansprouts and chilli powder to satiate your need for spicy flavour, big enough for 2 pax to share. To quell the thirst after all the blend of flavours, pick from one of the 15 types of Jim Beam Highball Cocktails (starting from $6). 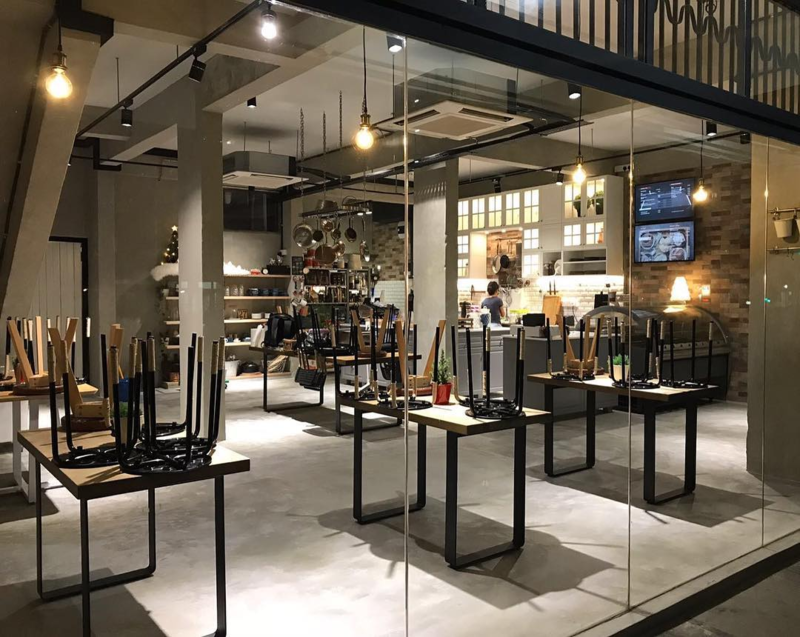 Blue Label Pizza & Wine is set in the CBD, making it a great place to hang out after work with friends and colleagues for its light and airy long-ferment dough pizzas. 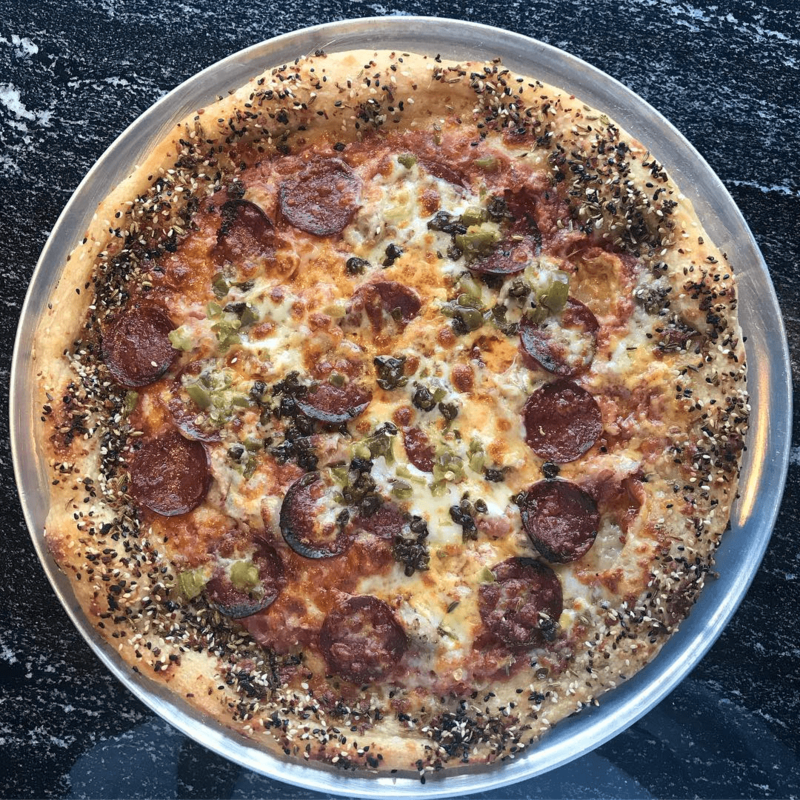 If you’re a meat lover, try their J-Dog ($32) pizza topped with pork sausages, bacon and pepperoni. 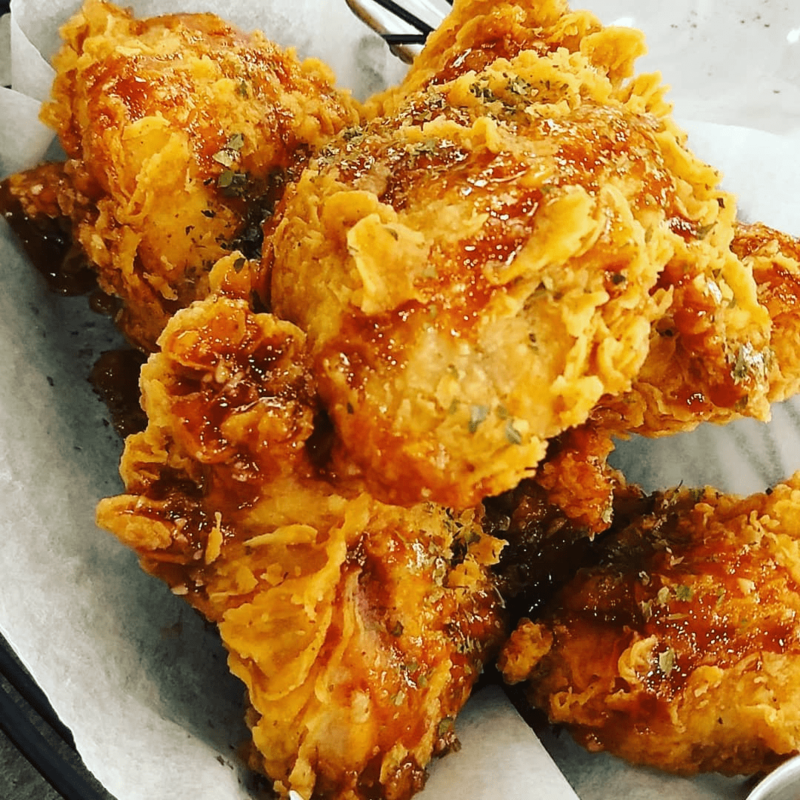 Apart from pizzas, their Blue Label Chicken Wings ($14-28 for large) prepared with Carolina mop sauce and blue cheese ranch are an excellent side and the Spiced Pumpkin Soft Serve ($8) is a great meal closer with its punchy flavour and thick creamy texture. 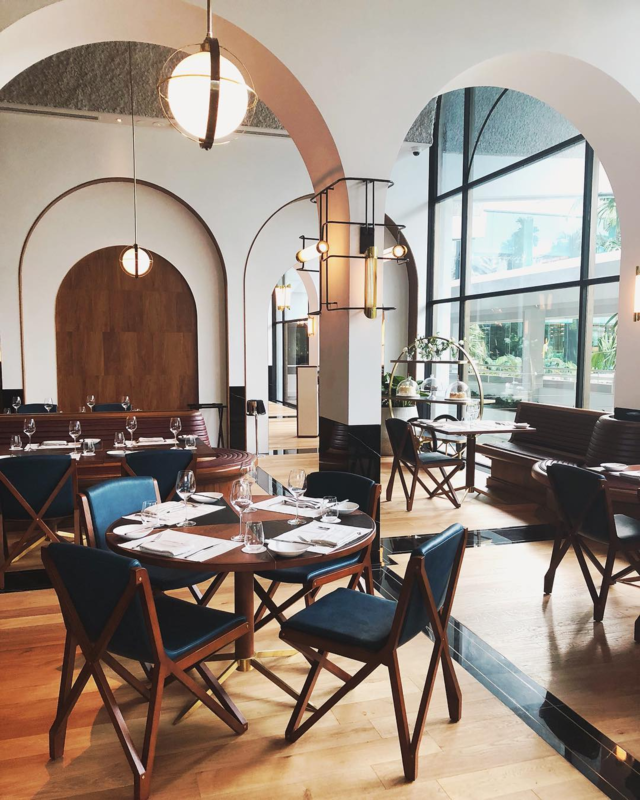 Origin Grill & Bar places emphasis on sourcing only the finest ingredients from sustainable suppliers of line-caught seafood and grass- and grain-fed Angus and Wagyu beef, so if you’re an environmentalist or strong advocate for animal rights, you can dine here with peace of mind. In particular, its award-winning Snow-Aged Wagyu ($138 / $188 for striploin / ribeye) beef from Niigata is hung for 500 days - a biblical period of time where beef connoisseurs are concerned. 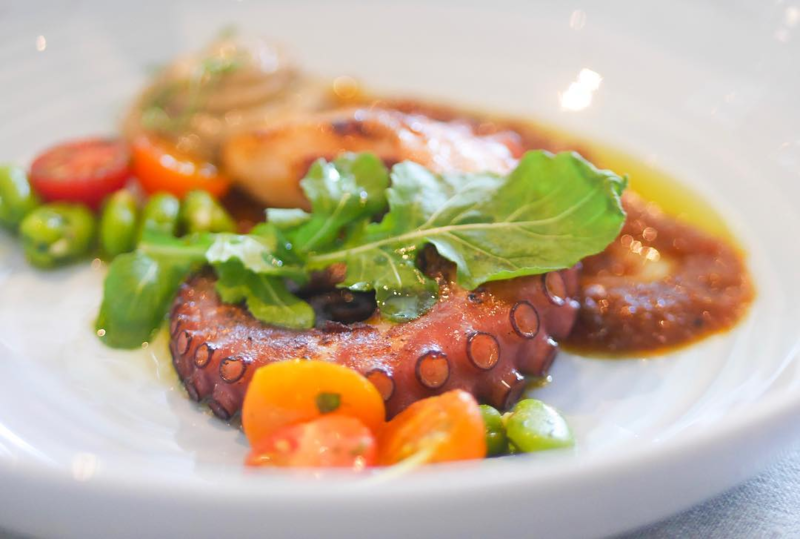 Still, those more keen on seafood can opt for the Octopus Charred with Smoked Paprika ($24) featuring fava beans and a smooth eggplant puree. To keep diners in the mood, the restaurant’s art deco interior contains colonial elements of arched pillars hanging overhead. Plenty of wooden furniture similarly provides comfort without being overstated. 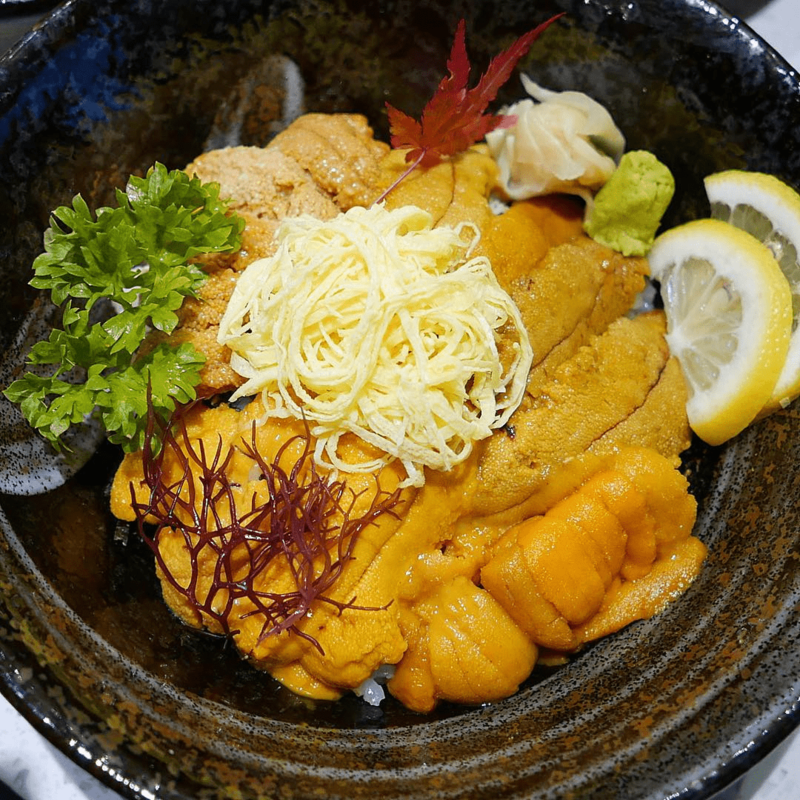 Quality uni - AKA sea urchin - is a real gem, so Uni Gallery is like a treasure lair for those who often crave the dish as they import uni from Japan, Canada and the USA. For full-on indulgence, the Uni Bomb ($99) contains 4 types of seasonal uni and comes with 1 shot of gin or sake. If you’ve never tried uni but wanna give it a go for the first time, the Uni Chirashi Set ($28.90) with tamago, furikake and seaweed is an affordable starting point. Apart from sea urchin, they also serve more conventional regular sushi and sashimi to complement your meal. With a straightforward name like The Chinese Kitchen, there’s no surprise as to what kind of food you’ll find here. 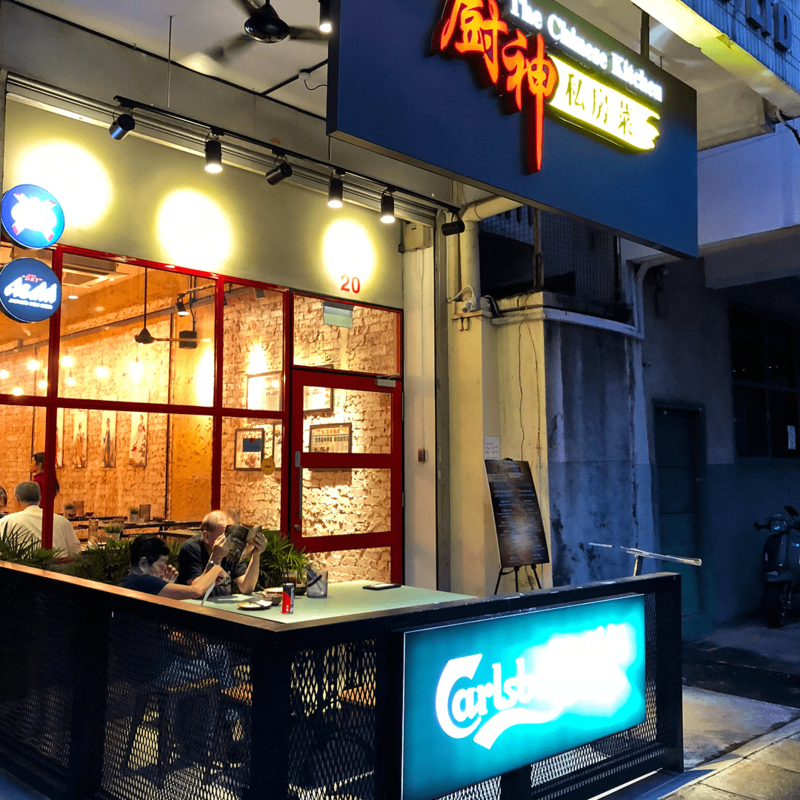 This restaurant is helmed by an ex-President of a Chinese cuisine society, so you can expect more traditional ‘50s- and ‘60s-inspired dishes that are meticulously presented but stand in contrast to the more modern minimal premises. 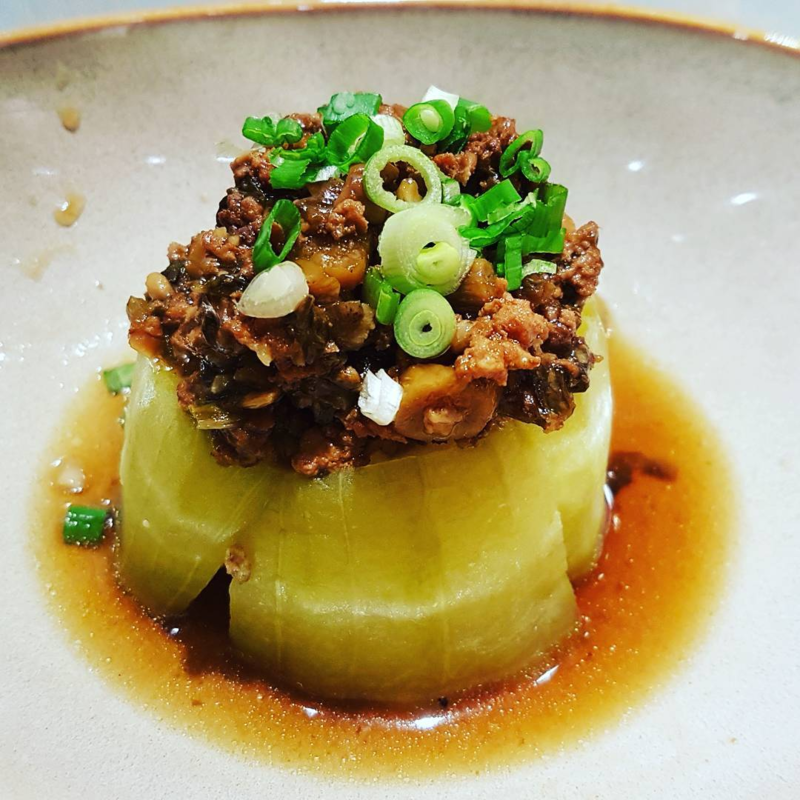 For some of that ol’ time goodness, there’s the Signature Red Garoupa in Old Fifty Collagen Broth ($38) or Steamed Hairy Gourd with Preserved Vegetable Minced Pork ($10). 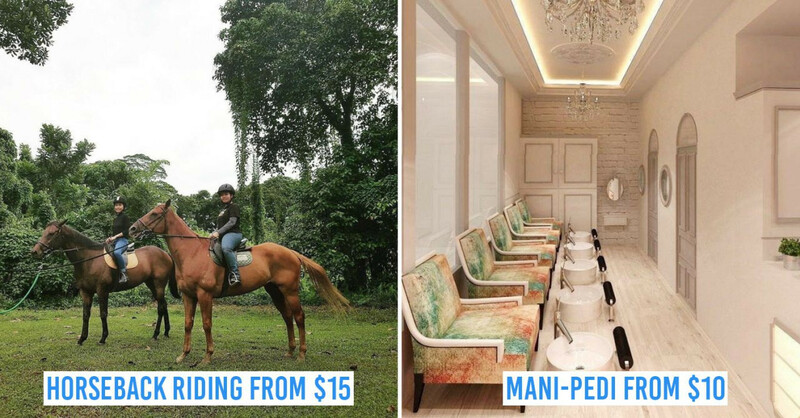 An added bonus: there’s no service charge, so the meal will be less taxing on your wallet. 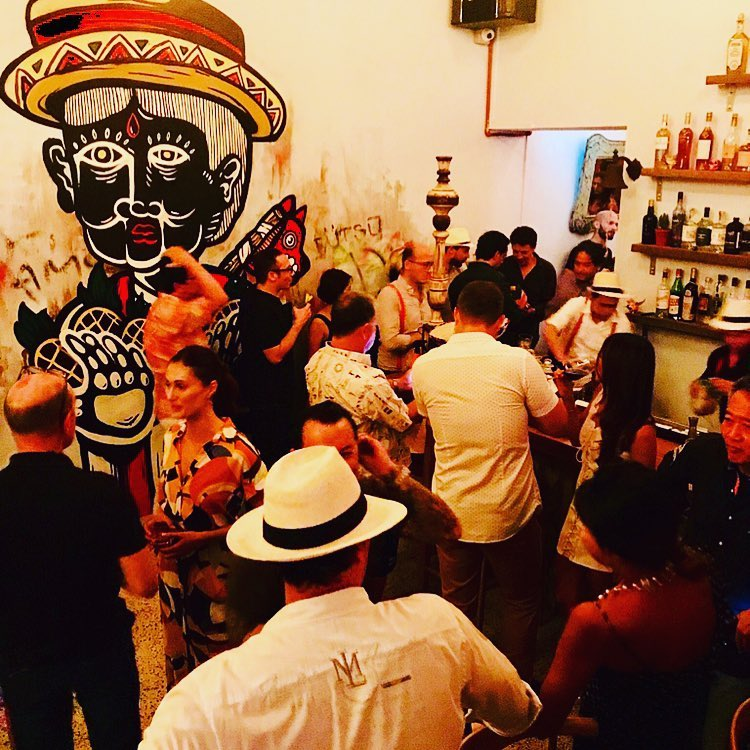 Casa Poncho is a Latin American restaurant and bar based around the character of Poncho, who enjoys the finer things in life like food, alcohol, cigars, music and old movies. It’s only natural that the restaurant is furnished with memorabilia from all his interests, giving it a homely feel. 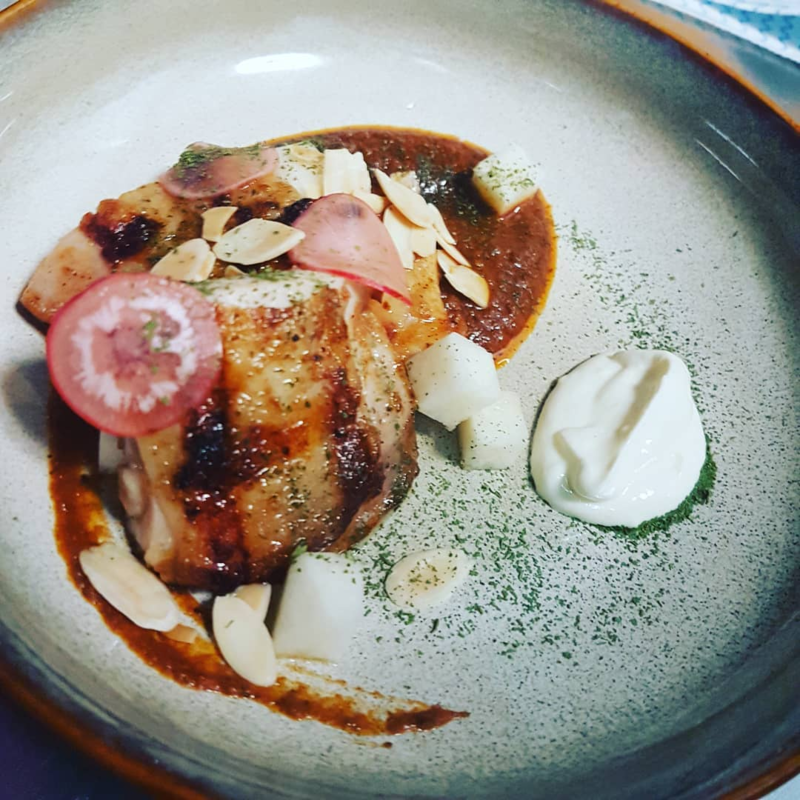 As you inevitably end up humming Camila Cabello’s Havana, tuck into a plate of Chi Chi Aka Chicken Chipotle ($15) with pickled radish, jicama, almond flakes and sour cream or grab light bites of Chilli Cheese Churros ($8) while watching the wall-projected black-and-white films. With an entire year ahead, it’s only right to set your palate right for the first month with some fresh choices despite having just indulged during . And even though the season of giving may technically be over, it might also be time to get into contact with some friends you’ve lost touch with just to have more lunch buddies to share food with!